Back when I first entered Xceleration as a 16-year-old, I was confused, uncertain, and worried about my future. 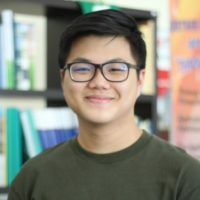 However, Xceleration gave me the opportunity to focus and finish my O-levels in just a year and also helped me in realizing my dream of studying Law. The teachers are helpful each and every step of the way, and always go the extra mile for the students. The academic counselors, such as Mr Lim, are also very passionate in helping each student reach their individual goals. All in all, Xceleration has left a lasting impact in my academic life and has also helped me attain scholarships in both my college and university. I would choose Xceleration if I had to do it all over again!